Case Study Hospitality Integrity Audit. Results of the Integrity Assessments were used to control resources and lower risk of future revenue loss. 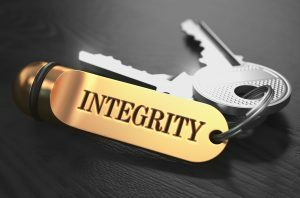 An international hotel company had concerns about possible integrity issues in their hotel bars. BARE International recommended checking the integrity in several areas in each hotel including the Bar, Spa, and Retail. Each area would be assessed based on the use of cash, time, and inventory. Evaluators were sent to each hotel four times, once per quarter, to conduct cash transactions, and provide feedback on employee procedures. BARE selected, trained, and supervised the field force to conduct the Integrity Assessments. In addition, BARE analyzed the data collected, monitored improvements, and made further recommendations based on findings. The hotels did, in fact, have an integrity issue, but not in the Bars as suspected. Bar scores were even slightly higher than the Overall scores. Overall scores were being lowered by integrity issues found in both the Spa and Retail areas of the hotels. Despite a peak with higher scores in Q3, both Spa and Retail areas finished the year with low scores of 69% in integrity.